If you are not already prioritizing content marketing for your business, now is the time to start. For those unfamiliar with this topic, content marketing is the creation and publication of online material, such as blogs, social media posts, photos, and videos. New technologies are constantly increasing consumer capabilities, which means companies must adapt their content marketing strategies to align with current technological advancements. One content marketing trend set to takeoff in 2019 is voice control and search. Nearly all current content marketing initiatives include meticulously planned content that is optimized for typed searches, but thanks to voice control, that is about to change in the coming year. Since the development and popularity of artificially intelligent systems such as Siri, Amazon’s Alexa, and Google Home, customers have begun to increasingly use these devices to ask a question or search with the power of their voice. So, in addition to using keywords consistent with how customers input a search via keyboard, companies must also consider the keywords people are likely to say. Since voice searching is still a fairly new technology, young adults are more likely to utilize this tool than any other target customer. Young adults have the ability to quickly learn about and incorporate the newest advanced devices into their daily lives, while adults are more likely to stay true to their dependable keyboard searches. Young adults are known to use more colloquialisms and natural phrasing when searching online, so it is important for companies to incorporate this informal style into their content to increase search engine optimization. Customers often use voice control to search for quick questions, so companies should style their content to provide quick answers. Offering timely and relevant information ensures your company’s content will show up in the foremost search results. For instance, Google identifies voice answers based on the featured snippet, a short summary at the top of search results page that directly answers a voice-controlled question. Having your content become the featured snippet is highly desirable for companies because it increases online visibility and traffic. Think of it this way, when a customer asks their virtual assistants a question, the device is pointing the customer in your direction and giving them information about or from your company. In addition to increasing brand visibility, voice-controlled devices also have the ability to directly increase sales. Customers use voice-controlled searches to make an informed buying decision, compare product prices, and place orders for delivery. Customers are beginning to rely on their virtual assistants, which means call-to-action controls and insightful keywords are imperative throughout content marketing. 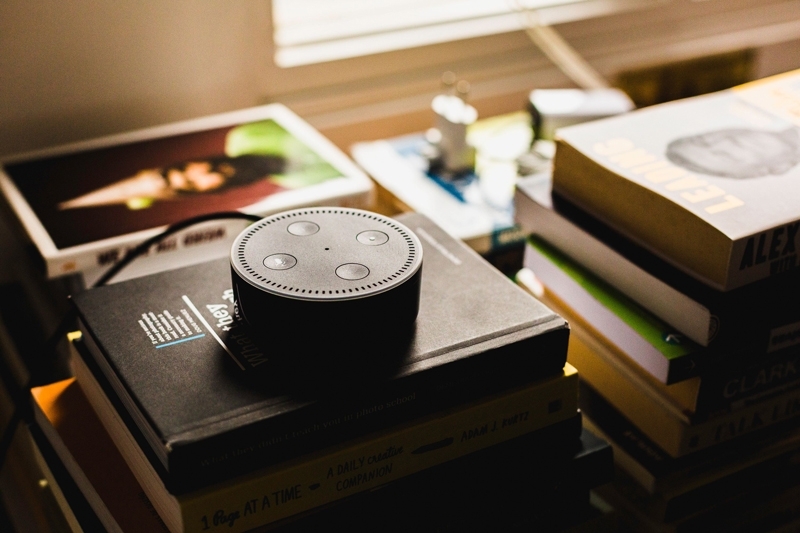 Voice-controlled devices are already the future of search engines, so it makes sense that content marketing would begin to steer in that direction. By adjusting content to complement voice-controlled devices, companies will be able to stand out among their competitors and establish personal relationships with customers. If you have any questions about content marketing, need help optimizing voice control searches, or other digital marketing services please contact Pink Dog Digital at (410) 696-3305, email us at info@pinkdogdigital.com, or visit us on the web at www.pinkdogdigital.com.